New Wolves winger Michal Zyro enjoyed a dream home debut as his two early goals helped earn Kenny Jackett's side a 3-2 Sky Bet Championship victory against Fulham at Molineux. Poland international Zyro, who joined Wolves from Legia Warsaw in a £350,000 deal, struck twice in the first 13 minutes on Tuesday after being pushed into a central striking role following the departure of Benik Afobe to Bournemouth on Sunday. Fulham did reduce the arrears through Lasse Vigen Christensen in the 24th minute, but Matt Doherty's long-range strike three minutes into the second half provided Wolves the vital cushion they needed after Ross McCormack gave Fulham hopes of a late rally with a goal 16 minutes from time. But Jackett's men were able to hold on to secure a fourth successive league win. 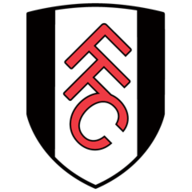 As for Fulham, they have now won just once in their last 12 league games and have not tasted victory on the road since beating Bristol City 4-1 in October. The visitors caused an early scare in the Wolves area when Tom Cairney's cross found Moussa Dembele but his mis-hit shot from six yards was blocked. It was a let-off that Wolves took full advantage of just two minutes later when Zyro proved to be more clinical from close range. The lively Jordan Graham made strides down the left and his cross was turned home by the winger. Zyro's pace and movement was a real problem for the Fulham defence and he made the most of that to grab his second and double Wolves' advantage seven minutes later. A lofted pass from Dave Edwards caught the opposition defence flat-footed and Zyro raced clear before poking his shot through the legs of goalkeeper Andy Lonergan. Wolves were rampant at this stage and would have moved further ahead in the 18th minute but for a smart save from Lonergan, who tipped a header from Edwards around the post. Despite the shock of finding themselves two goals adrift, Fulham still carried a threat and Cairney and Dembele both went close to reducing the deficit before Christensen did hand them a route back into the game. The Denmark Under-21 international got his head to a right-wing cross from Jazz Richards and was able to steer the ball beyond the outstretched left hand of goalkeeper Carl Ikeme. Wolves were stung by that strike and launched a bid to regain their two-goal advantage, only to see Lonergan palm away Graham's 31st-minute shot. They should have increased their lead in the final minute of the first half but Zyro could only stab a left-foot shot wide from Doherty's cross. 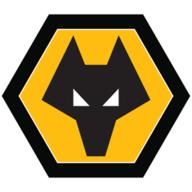 But Wolves did not have to wait much longer to take firm control of affairs again when Doherty drilled a low 35-yard drive past Lonergan after Fulham had failed to fully clear a Graham free-kick. Only the post denied the hosts a fourth in the 53rd minute when Rajiv van La Parra let fly from long range before Lonergan frustrated both Zyro and Danny Batth with smart saves. Failing to take advantage of their chances threatened to come back to haunt Wolves when Fulham pulled another goal back. Central defender Dan Burn found himself in an unaccustomed position on the left wing and his centre led to an opportunity for McCormack to beat Ikeme from 20 yards, but in the end an equaliser proved to be beyond Jokanovic's side.